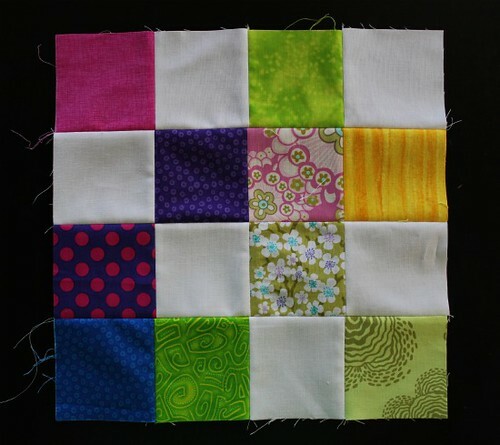 Sasikirana (on flickr) chose a fun block based off of this beautiful rug she received in the UHG swap. She requested bright fabrics paired with a crisp Kona White, which just pops! 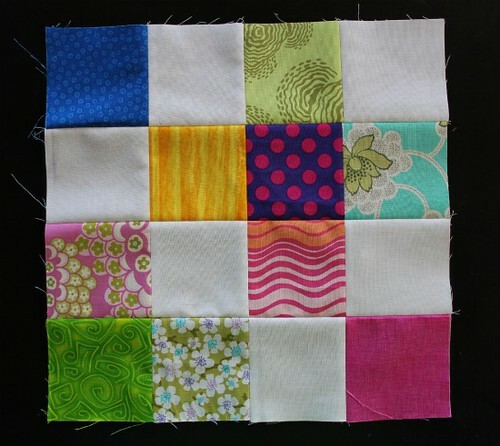 I can't wait to see everyone's blocks all together because I think this will be one stunning quilt. 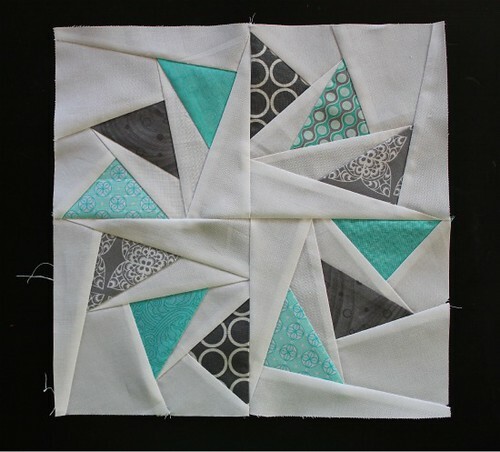 Brooke from Pitter Putter Stitch chose the Circle of Geese block for her bee block this month. I absolutely love the fabrics she choose! I have to admit I was pretty intimidated by this block (which is why I put it off for so long), but it turned out better than expected! Thanks for all the positive feedback on Flashback Fridays! If you missed it, you can find the info here. I will get the details together this weekend, but I am planning on May 13 (two weeks from today) being the first Flashback Friday. Look for more information next week! I love all the circle of geese blocks. I really need to make some soon! Where can I get a pattern for the circle geese?